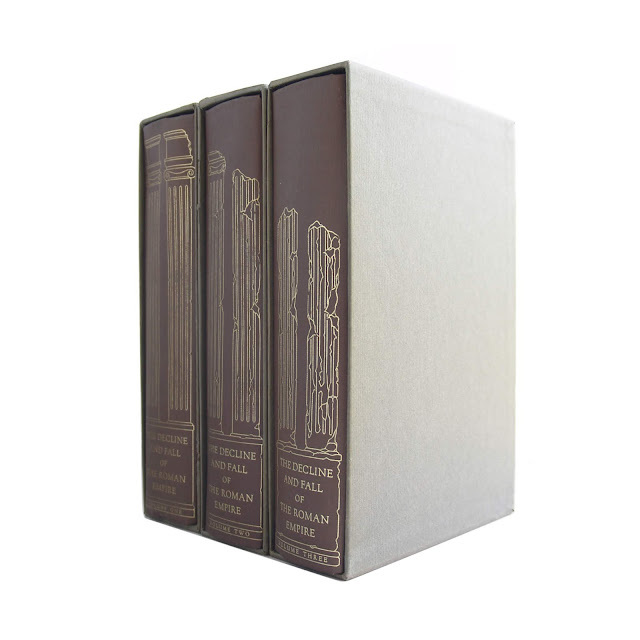 Gibbon's iconic work, complete in three volumes with original slipcases. 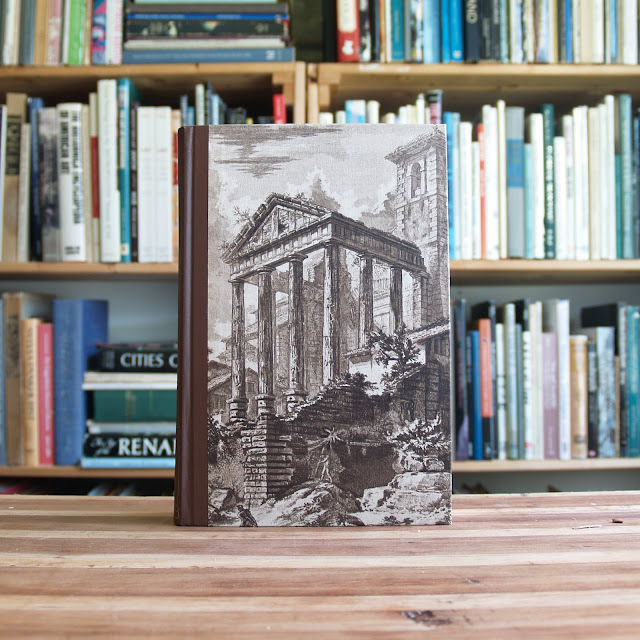 Quarter brown cloth binding over illustrated paper covers. 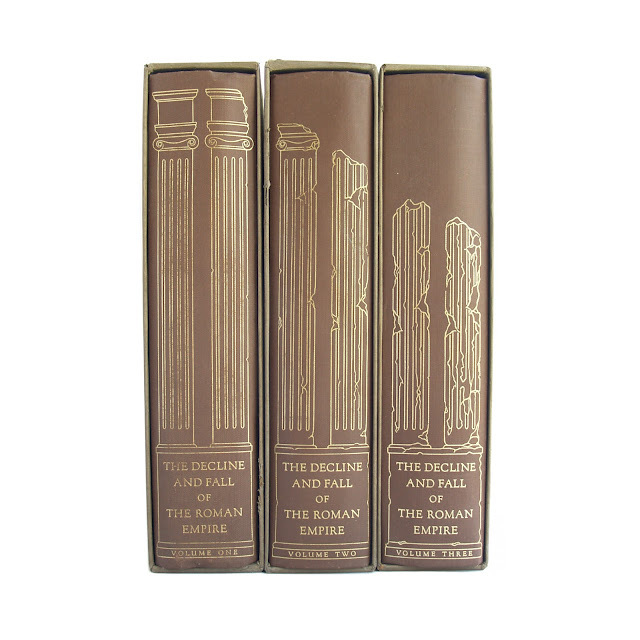 Gilt titles and decorations on spine (three decaying pillars). 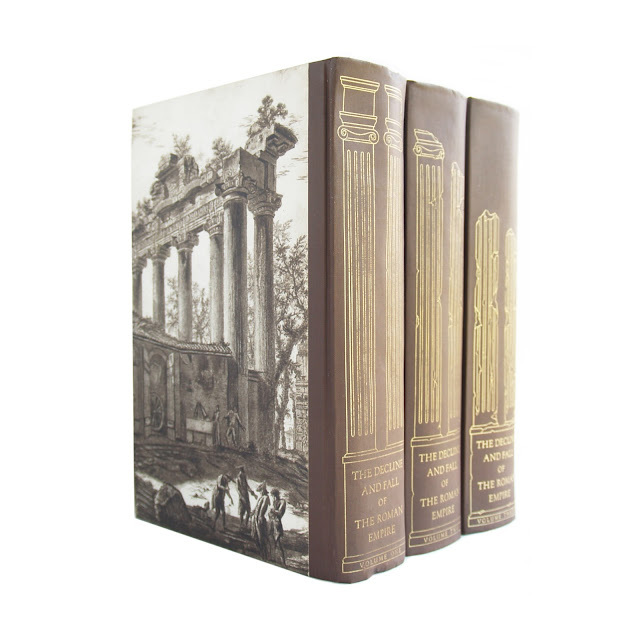 Each volume approximately 6 x 9 inches, 2538 total pages with an index. Very clean and crisp set, just a touch of foxing to outside edges. 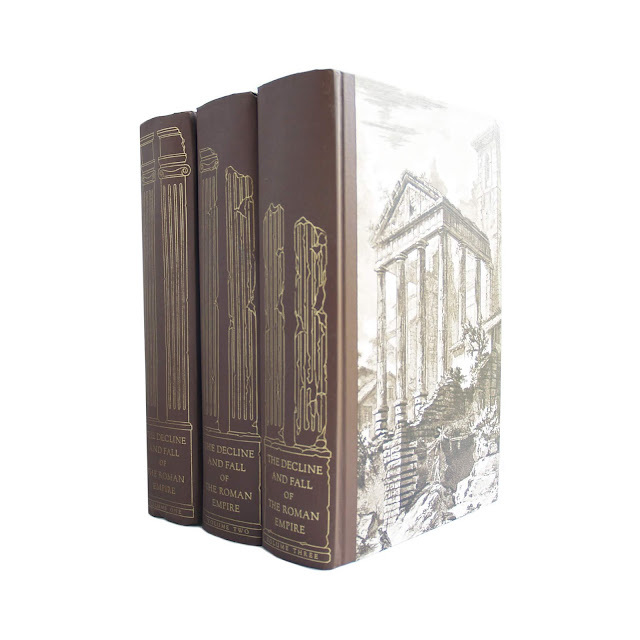 Slipcases shows light wear. Includes Sandglass pamphlet.